And what better way to indulge your boozy craving for a powerful drink than a cocktail named for a gun? I mean, it’s bound to have a little kick, don’t you think? 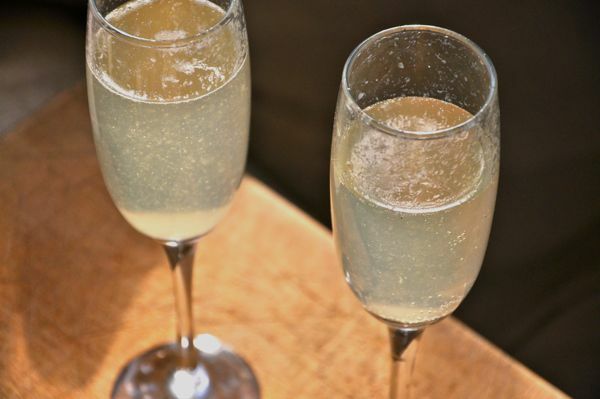 The French 75, named after the 75-millimeter M1897 artillery piece used by the French during World War I, is a potent tipple composed of champagne, gin, lemon juice, and sugar. It’s tasty, springy, bubbly, and just a little bit glam. What more could you ask for? Mix together gin, lemon juice, and powdered sugar. Divide between two champagne flutes. Top up with champagne.